RES: Wind farm, thermal solar collectors, heated water storage, heat pump systems, geothermal energy, and district heating. Implementation: Frederikshavn is a town located in Northern Denmark. In November 2006, a group of Danish energy experts came together for a project called "Energy Camp 06" and identified Frederikshavn as the ideal location for a model "Energy City," which would shift to 100% renewable sources for electricity, transportation, and heating by 2015. 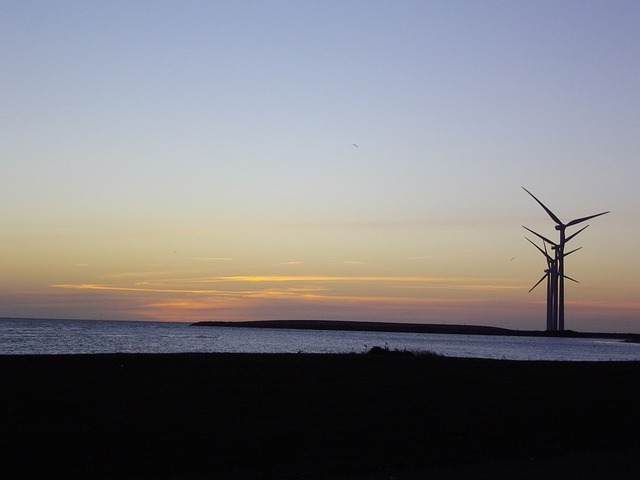 Frederikshavn was chosen because it was a good size for the testing of energy technologies, there were already existing electricity and heating production plants as well as a wind farm research facility, and there was political will to carry out ambitious plans. In February 2007, the Frederikshavn City Council approved the Energy City plan, which would be completed over 3 phases. First, it would reach a 40% renewable energy target by 2009. Second, its renewable energy share would annually increase to reach 100% by 2015, with the capacity to exchange energy with surrounding areas. Third, the 100% renewable energy system would be further developed to enable Denmark as a whole to transform to 100% renewable energy by 2030. The first phase involved implementing 4 projects, offshore wind project with a total capacity of 25 MW, 8000 m2 of thermal solar collectors that annually generate about 4 GWh with 1500 cubic meters of water heat storage and an absorption heat pump at the existing CHP plant, a facility that upgrades biogas from a local plant to natural gas quality that fuels cars and is used in the existing cogeneration plants, and finally a heat pump system at the town's waste water treatment plant that extracts 4 GWh of heat from the waste water and produce 6 GWh of heat for the district heating supply. To reach a 100% renewable energy supply by 2015, a waste incineration CHP plant was built. This project prioritises recycling before incineration, the remaining relatively small amount of waste is used to create heat and power via CHP technology. The heating grid was also expanded. Biomass boilers met industry heat demand, while homes not on the district heating grid are retrofitted to use a combination of solar thermal and electric heat pumps. Then was the shift to electric, plug-in hybrid, and biogas in transportation. A biogas plant was then built for electricity, heat, and transportation fuel, using34 million tons of manure per year to produce biogas for the production of methanol, which can be used for district heating. Geothermal energy combined with heat pumps is added to the district heating supply. The rest of the city's energy demand is met by a 15 MW biogas CHP plant and a 40 MW wind farm.